A young Cookstown motorist is to appeal a court decision disqualifying him from driving for three months for using a car in a dangerous condition. Eighteen-year-old Ben Bennett from Castle Court in the town, was also fined £250 with a £15 offender levy at East Tyrone Magistrates Court. Imposing the penalties, District Judge John Meehan told the defendant that he seemed keen to drive around in a lowered vehicle causing an annoyance. Mr Meehan stressed that the defedant needed to be more careful and told him that a car was not a toy. Prosecuting counsel explained police stopped the defendant after he turned out of a service station on the Magherafelt Road, Moneymore, on the night of June 21 last. The lawyer said the defendant was told to raise his vehicle and report to police for inspection at Cookstown on June 29. The defendant failed to produce the vehicle and on July 19, while police were talking to a member of the public in William Street, Cookstown, they observed the defendant driving the vehicle which still had lowered suspension, he continued. 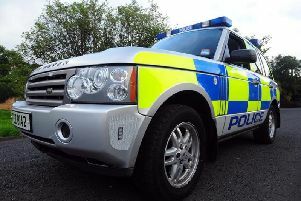 The lawyer said the vehicle had no exhaust silencer fitted and was making a roaring noise as it made its way to the Fairhill, where it was stopped by the police. A defence lawyer said Bennett had been driving for 17 months and accepted responsibilty. He explained that since the incident he had got rid of the vehicle and was driving a car which had no modifications. The judge fixed bail for the purpose of appeal in the sum of £200.